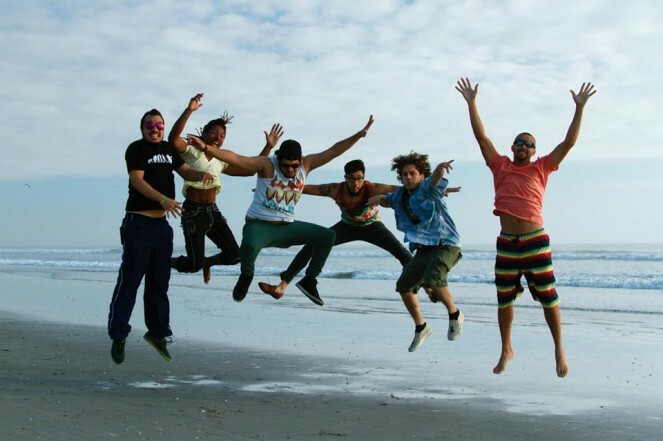 BACHACO is a Reggae Rock band with Latin Roots based out of Miami, Florida in the U.S. Their music successfully blends feel-good and conscious lyrics through the mix of Reggae and Dancehall with Rock, Hip-Hop, Cumbia and more sounds.. Since its formation in 2007, BACHACO has performed over 300 concerts all the way from Argentina to Canada sharing stage and performing at the same events and festivals as other big names in the reggae and world music scenes such as Israel Vibration, Toots & The Maytals, Tribal Seeds, Ozomatli, Luciano, Easy Star All-stars, Midnite, Cultura Profetica, Gondwana, Los Cafres, Los Pericos, Bahiano, Alika, Jarabe de Palo, Los Amigos Invisibles, WAR, King Chango and many more. BACHACO has also showcased during the SXSW and LAMC music conferences thanks to support from BMI. BACHACO’s members hail from Venezuela, Colombia, Jamaica, Puerto Rico, Peru and the U.S. allowing their songs to naturally flow in both English and Spanish but the true language BACHACO speaks is its own music and what they transmit: An Explosive International High Energy Groove! That is simply the result of the band’s own diverse range of nationalities. BACHACO is a true multi-cultural experience. BACHACO was initially conceived by Venezuelan brothers Edilberto “Eddy” Morillo, lead vocals, and Jose Morillo, bass and vocals, along with Domingo Medina on drums, also from Venezuela. The current line up consists of: Edilberto “Eddy” Morillo on vocals, Jose Morillo on Bass, Domingo Medina on drums, Jamaican guitarist and vocalist Matthew Jacquette, Alexander Cruz, Puerto Rican, on trombone and Jamaican-Cuban Alexander Coombs on Trumpet. What is a Bachaco? The word Bachaco is the name given to a Leafcutter Ant in Venezuela. The same type of ant is found accross that Amazon Rainforest and in countries such as Panama, Colombia, Venezuela and Brazil. The insect is used by Venezuelan indians to create a “picante” (hot sauce). We could say Bachaco is a musical PICANTE.